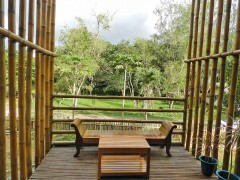 In 2009 the GrAT – Center for Appropriate Technology at Vienna University of Technology (headed by Robert Wimmer) started on the development cooperation project “Zero Carbon Resorts” in the Philippines. The project received funding from the EU within the framework of the “Switch Asia” programme. The research team’s aim was to develop sustainable building strategies and appropriate technological solutions for tourist resorts and to demonstrate their value in practice. Up till now locally available resources have hardly been used at all for constructing the resorts on the islands of the Philippines and supplying them with energy. Electricity for building operation, air-conditioning and providing hot water is generated from diesel fuel brought to the islands by boat. 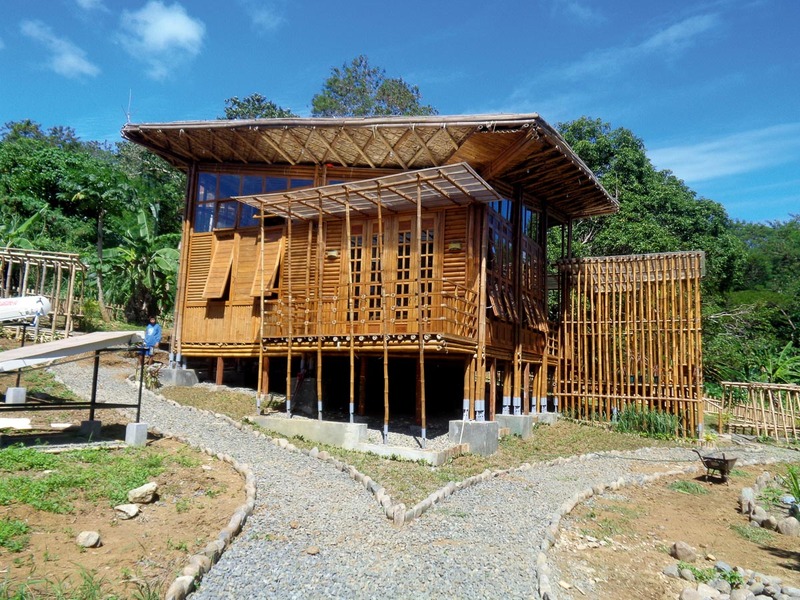 As part of the project a demonstration building was for the first time constructed with locally available materials to a resource-conserving design in Puerto Princesa, on Palawan. A key factor here was that local architects, engineers and SMEs were involved. Today roughly 800 hotels are members of the “Zero Carbon Resorts” project. 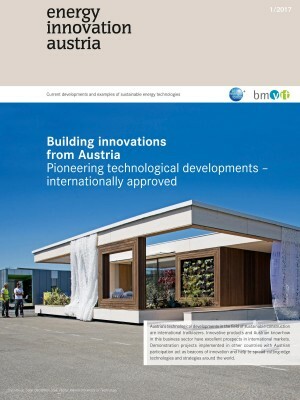 The Austrian specialists have already analysed 202 resorts in detail and made improvements. These resorts are now saving nearly 6.2 million USD per year in energy costs, while helping to reduce environmental impact. The researchers proceed in three phases. In phase one “Good Housekeeping“ measures (which cost nothing) are implemented, saving up to 30 % of energy costs. In phase two the money saved is invested to replace inefficient equipment and technologies in the resort with ultra-efficient ones. In some cases up to 70 % of the monthly running costs could be saved. 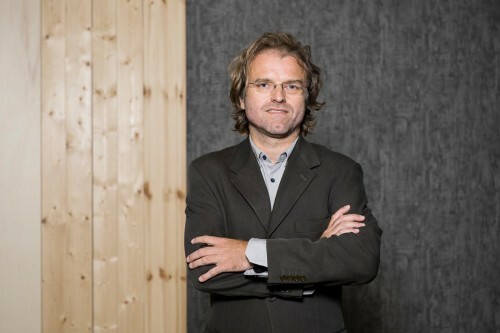 In phase three, or in the case of a new build, the building itself is improved along zero-carbon lines. 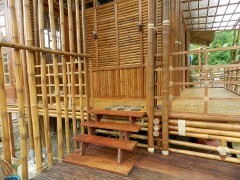 The building envelope of the cottage in Puerto Princesa is made of locally available materials such as bamboo, rattan, palm leaves and timber, and is fully recyclable. The soil excavated from the foundations was also used in construction as thermal mass, in the shape of a rammed earth wall and a massive structure in the bathroom area. As the soil has excellent thermal properties, these thick walls act as a temperature stabilizer. In this climatic zone cooling the building by passive means plays a key part. Wide eaves provide plenty of shade; the building stands on stilts, so it is ventilated naturally. The building is self-sufficient in terms of energy, operating exclusively with renewables. The electricity for the entire cottage is generated with photovoltaics. A solar system supplies hot water for heating and cooking. Sunlight is used for lighting, too; a daylight lighting system directs light from outdoors through ducts to the rooms inside. Roof design is such that rainwater can be collected centrally. Only about 10 % of annual precipitation on the roof is enough to cover the entire water consumption in the building. As water-saving toilets, shower fittings and taps have been installed, process water consumption and the volume of sewage have been limited. Sewage is purified by means of a biological treatment facility. Drinking water can be obtained from rainwater via a straightforward do-it-yourself filter. In future the plan is to put the “Zero Carbon Resorts” strategy to work around the world, for instance in development cooperation in Africa or in other parts of Asia. The GrAT is currently working on projects for further demonstration buildings in Thailand and Nepal. In 2015 the project “Zero Carbon Resorts” won the Global Human Settlement Award, which is granted by the Global Forum on Human Settlements in collaboration with the United Nations Environment Program in New York. The award is made to municipalities, firms or individuals that set an example with their commitment to sustainable development.